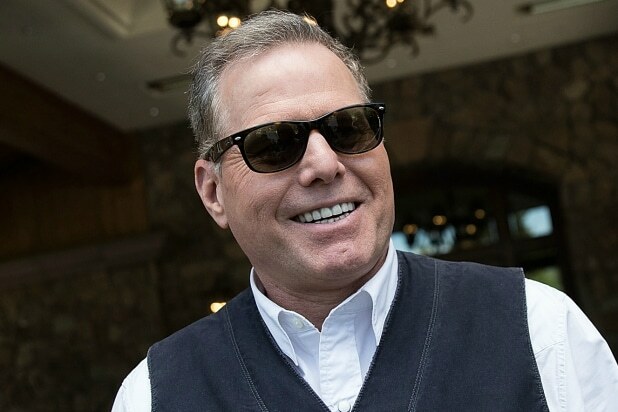 David Zaslav is a rich guy. The Discovery president and CEO earned more than $42 million in 2017, which is $5 million better than his take the prior year. Options awards pushed him over the top, rising from $11.1 million to $15.6 million. The company’s top executive’s salary remained flat at $3 million. The only other material change to Zaslav’s compensation was in his non-equity incentive plan category, where the head honcho took home about $600,000 more than he did in 2016. The next-highest-paid executive at Discovery is Zaslav’s international counterpart, Jean-Briac Perrette, who made $8.2 million in 2017. That was actually down quite a bit from Perrette’s 2016 income of $11.6 million. Let's get into the spirit of a new MLB season with some of the biggest baseball movies that all hit a commercial home run. 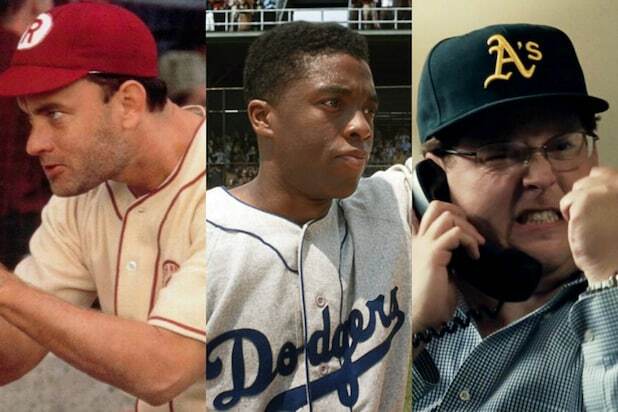 These are the highest grossing baseball movies of all time, ranked from lowest to highest. Bernie Mac plays a former baseball great who returns to the league at age 47 after learning he was just a few hits shy of 3000. Charlie Sheen, Corbin Bernsen and Tom Berenger all came back for the sequel to "Major League," but Wesley Snipes had become a bigger star, and his role of Willie Mays Hayes was taken over by Omar Epps. "The Sandlot" performed modestly at the box office in 1993, but it found a second life as a cult film on VHS and on DVD a decade after its release. Billy Bob Thornton starred in Richard Linklater's remake of the '70s classic starring Walter Matthau. Kevin Costner shows up quite a bit on this list. Sam Raimi directs Costner as a washed up pitcher reflecting on his career in baseball. Clint Eastwood and Amy Adams play a father and daughter trying to patch up their relationship during Eastwood's final season as a baseball scout. "Million Dollar Arm" kicked off a string of globe-hoping Disney movies, with Jon Hamm starring as a sports agent who travels to India in search of baseball talent on the cricket pitch. This early-2000s Keanu Reeves hit stars a young Michael B. Jordan in this movie about a Cabrini Green little league team. Jimmy Fallon and Drew Barrymore make for one of the more charming rom-com couples of late. But even more special about "Fever Pitch" is that it arrived in the year the Red Sox finally won the World Series. Robert Redford, Robert Duvall and Glenn Close star in Barry Levinson's inspiring classic that has been fodder for countless homages and parodies. "Juuuust a bit outside!" The University of Arizona baseball team did their own version of the famous scene from this film where the players all arrive to spring training. You've got to believe! A young Joseph Gordon-Levitt stars in this cute Disney movie about a baseball miracle. Kevin Costner again. This baseball romance even received an Oscar nomination for Best Original Screenplay. Back when the Chicago Cubs were still lovable losers, it made sense that they might take a flyer on a miraculous young kid as depicted in Daniel Stern's family comedy. "The Benchwarmers," starring Jon Heder, David Spade and Rob Schneider, was a hit with audiences, but much less so with critics, earning only a 25 on Metacritic. Even more Kevin Costner. This weepy classic went on to earn three Oscar nominations and might be the best baseball movie ever. Dennis Quaid stars in this inspiring true story of Jim Morris, who discovered well past his prime that he could throw some real heat and ended up making a major league team. Nominated for six Oscars including Best Picture, the film adaptation of Michael Lewis's book starring Brad Pitt and Jonah Hill was an unexpected critical and commercial darling. Before he became Black Panther, Chadwick Boseman starred as Dodgers great Jackie Robinson in the biopic on his life, "42." "There's no crying in baseball!" Penny Marshall's hilarious story of the first female professional baseball league is the only movie to crack the $100 million mark.